I just have one question. When is Broadway going to get a revival of Amadeus? Yes I know. It's only been seventeen years since the last production. But aren't we due for one though? Oh well. Maybe this new production in London will head here next year. Fingers crossed. Amadeus, which first premiered in London at the Royal National Theatre in 1979, is set to run thru March 18, 2017 at the Olivier Theatre. The show, which was actually inspired by the short 1830 play by Alexander Pushkin, takes place in Vienna during the latter half of the 18th Century, and tells the story of Wolfgang Amadeus Mozart and his musical rival Antonio Salieri. As Salieri's jealousy grows, he finds himself at war not only with Mozart but with God as well. Tickets for the show are now available for all performances. 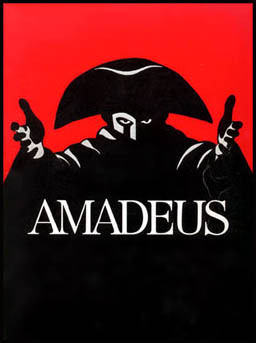 Get your tickets to see Amadeus in London at the Olivier Theatre. Until next time theatre fans.